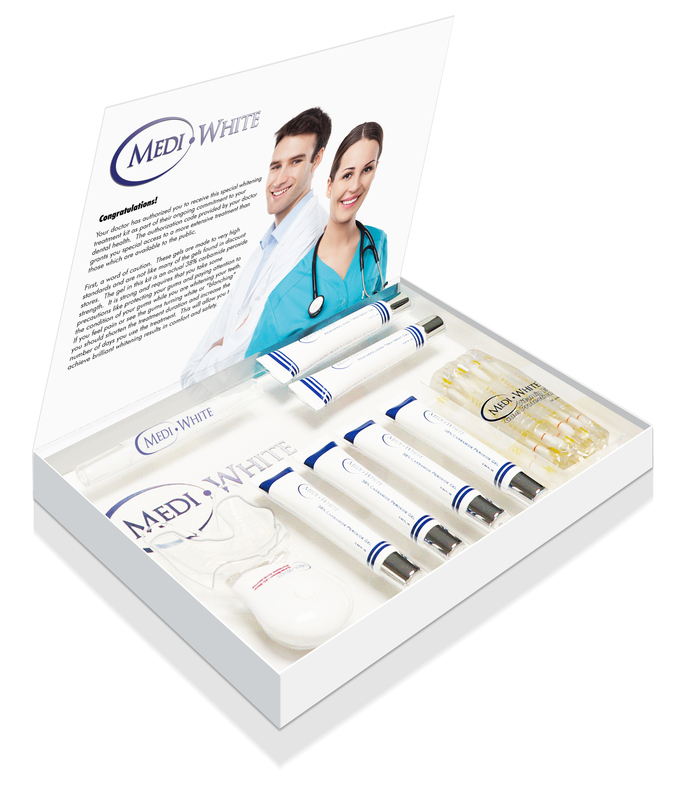 MediWhite™ Physician Authorized Whitening Treatments are not simply gels that whiten teeth. They are carefully designed combinations of whitening gels, high-powered LED long-wave ultraviolet accelerators, safety devices, and reusable application trays. Each treatment level is designed to give you an optimum level of both effectiveness and safety depending on your sensitivity level and desired whitening strength. 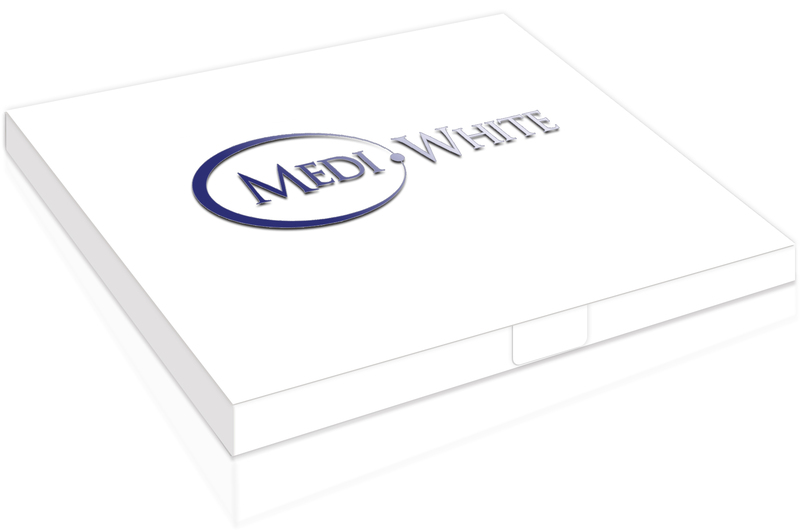 The MediWhite™ Physician Authorized Whitening Treatment is only available from dental professionals like you. Because the treatment is so effective, it does require that the patient be educated about their own dental care and make the proper choices for them. 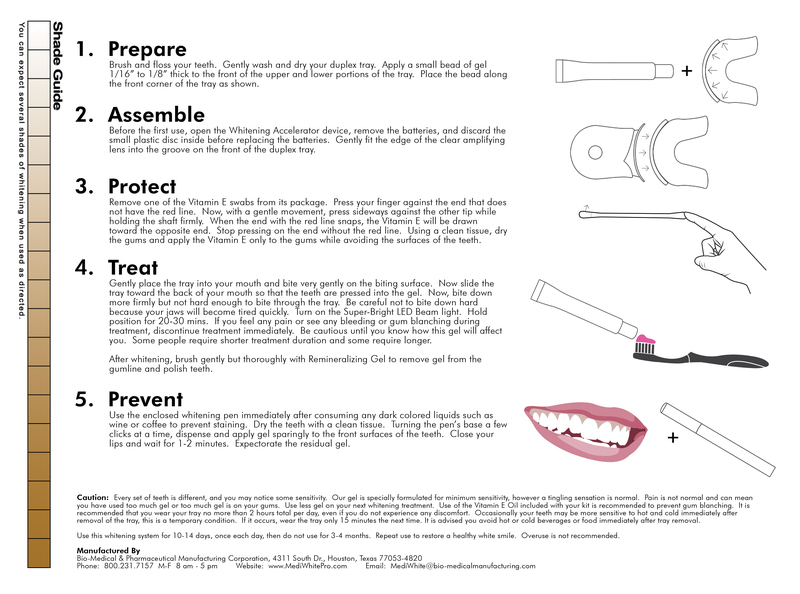 For dental professionals who choose not to perform in-office whitening procedures, this is the perfect way to give patients a way to achieve in-office whitening results at home without unsafe levels of active peroxides. This kit contains a balanced and well-studied combination of active peroxide and bound peroxides to yield rapid surface whitening plus deep mantle whitening in an at-home treatment. This kit is contraindicated for patients with persistent dental problems such as caries, diabetes mellitus, periodontal disease, salivary gland dysfunction, infection, neuropathy, or poor healing.